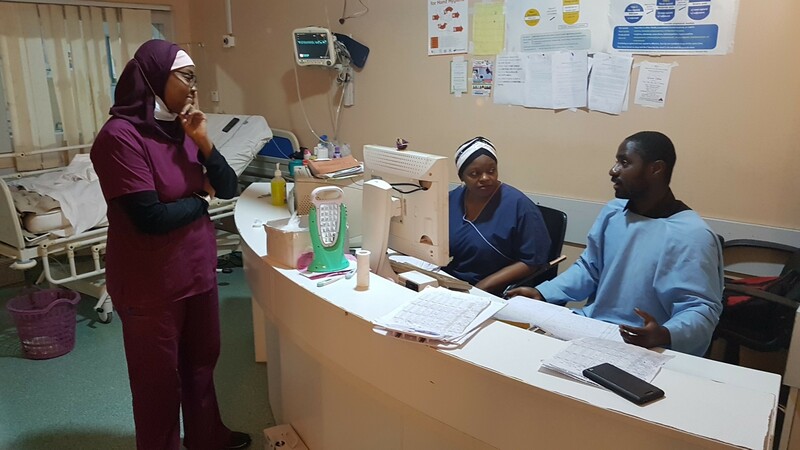 In October 2018 we shared the story of four medical doctors from Liberia who travelled to Nigeria for postgraduate anaesthesia training. Here is an update on their experience since arriving in Nigeria. The World Federation of Societies of Anaesthesiologists unites anaesthesiologists around the world to improve patient care & access to safe anaesthesia and perioperative medicine. Through advocacy and education programmes we work to avert the global crisis in anaesthesia. 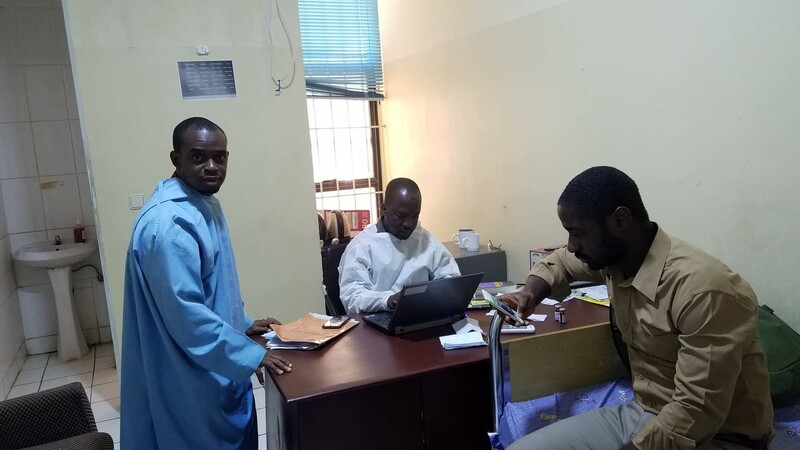 We began active supernumerary posting at the Aminu Kano Teaching Hospital, located on Zaria Road, Kano Metropolis, the capital of Kano State in Northern Nigeria. Kano State has a population of approximately 11 million people, twice the population size of Liberia. 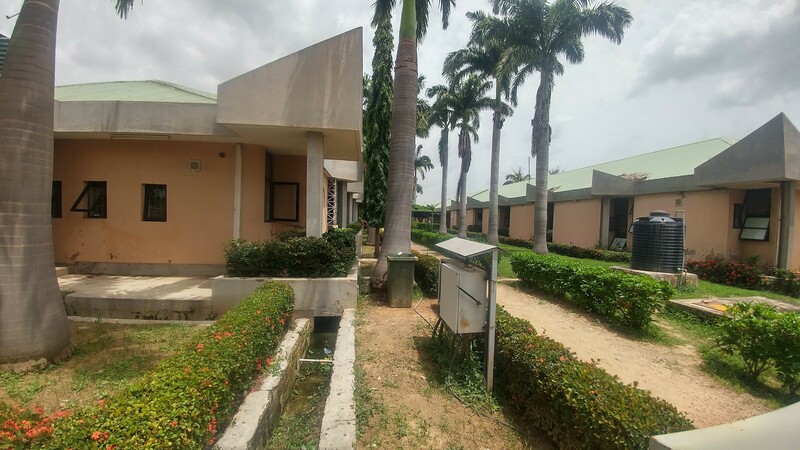 Aminu Kano Teaching Hospital (AKTH) is the premier referral hospital for northern Nigeria, serving a catchment population of 17 million from Kano and neighbouring states. The hospital has 700 beds and has 100% occupancy at all times. It’s quite common to see patients and relatives referred from health facilities within the Kano metropolis and neighbouring states waiting for a bed to be available! The rainy season has just ended and the cold, dry and windy Harmattan is already knocking at the door. The Harmattan period usually lasts till the end of February. Its peak period, we were told, is mid–December to mid-January with a lot of haze and dust that reduces visibility to about 300m and flights are cancelled at particular times of the day. Due to climate change, very low temperatures have been recorded over the past few years, as low as 12 degrees centigrade. The food is very similar to what we have at home. However, the mode of preparation differs. The local delicacies are very tasty and anyone visiting Kano is definitely encouraged to give it a try. I personally strongly recommend IDO. Meanwhile, our new home is situated within the hospital complex, enabling easy access to the different surgical theatres where we are assigned to work each day. Every Friday, the Chief Resident, Dr. Nasir, prepares a new rota (schedule) for the week. The rota contains five teams A – E (just expanded to six teams effective from this week). The ‘On Call team’ attend to emergency cases during the course of the day and assume full responsibility for every case including the ICU by 4:00 pm. The remaining four teams are placed on ‘Elective Surgical lists’ in the various surgical theatres (General Surgery, Neurosurgery, Cardiothoracic, Maxillofacial, Urology, Pediatric Surgery, Obstetrics & Gynecology, ENT, Ophthalmology etc.) till 4:00 pm. ICU Discussion: Dr. Rukkaya, Senior Registrar; Dr. Maimie & the ICU Matron. On Friday, there are presentations in the morning beginning at 9:00am (Morbidity & Mortality Review by a Senior Registrar who covered the ICU from Monday to Friday) and then 10:00am – 12:00 noon, presentation by Registrars. Subsequently, there is a break for Friday Prayers from 12:45 to 2:00pm. And then we are to return as per the rota for Journal club discussion from 2pm – 5pm. Even though the workload is heavy it is worthwhile. Every interaction with a consultant, Senior Registrar or even a colleague is a point to learn. Dr. Sadiq Usman Garba is the Head of Department and there are 8 Consultants (one is on leave of absence) with Dr. Alhassan Datti Mohammed being the most senior; 6 Senior Registrars and 10 Registrars. Internally, the department is perfectly coordinated with clearly defined roles as per your level. Moreover, the department is distinguished by the strong team spirit, cordiality and willingness to help shown by every member of the team. When we began our training, the initial challenge was our inability to communicate with the patients. Majority of the patients coming to the facility speak only Hausa, and we were required to carry out pre-anaesthesia reviews of these patients before surgery the following day! However, this challenge is gradually phasing out with our colleagues serving as both translators & teachers of Hausa. Hats off, AKTH Anesthesia Department! The focus of our training, for now, is mainly the developments of right skills in the field of anaesthesia that will ultimately prepare us to provide quality service. 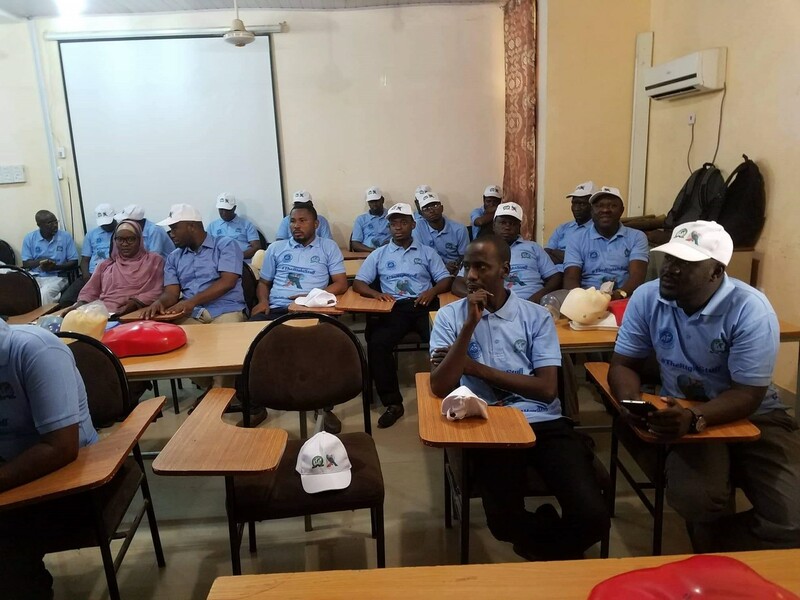 To ensure this is done, as early as the second week in our training, if we could correctly discuss the procedure, state indications, outline complications and how they are managed, we were allowed to take on that procedure under the watchful eyes of our seniors. Gradually, we are becoming handy at placing Endotracheal Tubes, Subarachnoid Block, Central venous lines etc. Also, we’ve been able to benefit from intervening training sessions in Basic & Advanced Life Support and Mechanical ventilators and more. The World Anesthesia Day celebration was a resounding success at AKTH! On the 16th October 2018, by 8:00am, we gathered at the main entrance of AKTH and then majestically walked the various corridors of the hospital nicely attired in our t-shirts & caps. A host of invitees from the hospital administration, the Federal Road Safety Corps and the Police attended the indoor programme. 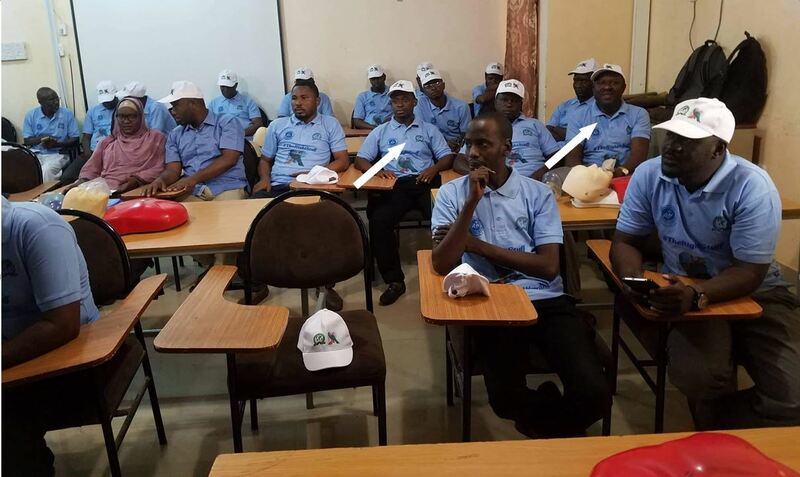 Dr. Salim (The Immediate Past Chief Resident) presented on the ‘Origin of Anesthesia’ while Dr. Habeeb ( a senior Consultant Anesthetist and Coordinator of the AKTH Life Support Training Centre) walked us through the fundamentals of Basic Life Support & CPR with hands-on for all participant. Our experience at AKTH is enriched by the meaningful contribution of WFSA. Through this selfless effort, we receive our monthly stipends and also an allowance to purchase the required textbooks for our study. Indeed, this makes student-life at AKTH so much more bearable. The line of communication with WFSA via email is always open and we can almost always count on a timely respond to our mails – many thanks to Dr. Keith Thomson and WFSA staff who have been the point of contact with WFSA and more importantly, the entire leadership of WFSA family. We are truly grateful! To the President of the Liberia Medical & Dental Association, Dr. Louise Mapleh Kpoto who is constantly checking on us to make sure we are comfortable and for every encouragement that accompanies each call, we say ‘thank you’. You can also find WFSA on Twitter and Facebook. Get in touch by Email.